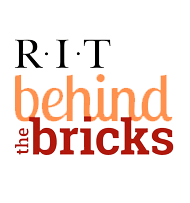 On Thursdays, the RIT Behind the Bricks team looks back at images from RIT's history and recreates them. Make sure to follow us on Facebook, Twitter, and Instagram for the latest Throwback Thursday posts and a unique behind the scenes peek at RIT from the persepctive of students. RIT Had A Bowling Alley?